The prime reasons for undergoing nose job are to improve your breath, change the appearance of your nose or a combination of the two. The surgical procedure not only enhances your appearance but can also boost your self-esteem and self-confidence. Irrespective of the goal for rhinoplasty, post-surgery recovery is a crucial thing that needs to be dealt with. You can expect to experience more discomfort than pain, a lot of swelling, particularly the first week after the surgery and bruising around the eyes. Depending on the chosen procedure, there might be splint or packing inside your nose for a few days or a cast or splint on top of the nose as additional protection. Some surgeons will also recommend an antihistamine for a couple of days to help alleviate discomfort.Usually, after a week, all splints and packing are removed along with any non-absorbable sutures.Nearly 80 percent of the facial swelling goes away after six weeks, however, it might take nearly twelve months for all the nasal swelling to go away. Be sure to read all postoperative and preoperative instructions given to you by the plastic surgeon. Make sure you keep your head elevated as much as possible post-surgery. Sleep with at least two pillows at night. Take lots of deep breaths, wiggle your toes occasionally when taking rest right after the surgery, and walk around a bit. This will help in keeping your blood circulation going to prevent the formation of blood clots. 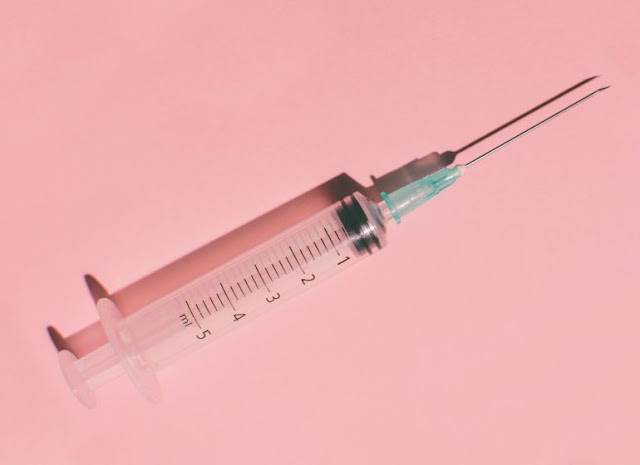 Stop taking Advil, Aspirin or any other medications that thin blood for at least two weeks after and two weeks before the procedure so that there is no excessive bleeding. Do not exert yourself with activities such as heavy housework or exercise, and don’t lift heavy objects for at least three weeks after the surgery. Do not sneeze or blow your nose for a few weeks. Even if you have to sneeze, expel the sneeze through your mouth, and not your nose. Do not put anything in your nose. Do not be in the arms reach of your friends who talk with their hands for at least a few weeks after the procedure. 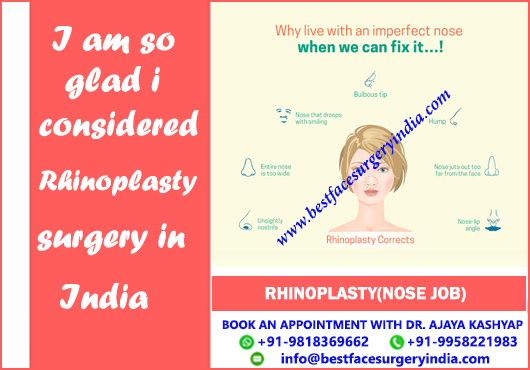 When you undergo a nose job in India, you will get detailed instructions related to the recovery after Rhinoplasty. The plastic surgeons here make sure patients have proper understanding for the recovery and healing. 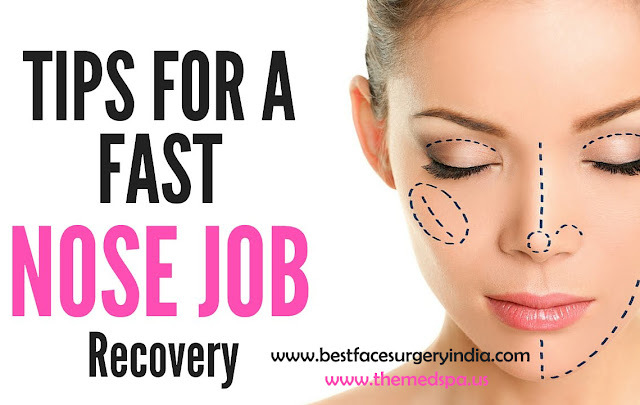 Indian medical tourism is popular among many people who are considering plastic surgery procedure like a nose job. Lip Reduction – Do you have large lips? Cheek Augmentation – Key Benefits!